In this episode, Kiril gives the #1 golden rule that you must observe when buying your next property. In an environment of constant change, how strong are your valued relationships with your strategic business partners? Are you able to pick up the phone and speak to your valued partners, as and when you need them? How quickly do your valued business partners respond to you when you reach out for assistance? Within the financial services industry, we are finding that response times continue to extend beyond what should be fair and reasonable. What took 24 hours, now takes a week. What took a week, now takes a month. These constant delays end up costing your business both time and money. If delays occur are you kept up to date? Do your strategic business partners communicate with you by articulating the reasons for the delay, and the timeline surrounding resolution of your request? At Strategic Investor Group your strategy advice, lending advice and property advice comes with an In-The Loop guarantee. You will never go more than 48 hours without a detailed update regarding your specific requirements. In this episode, Kiril explains things you need to consider before buying a property that will affect your ability to get superior rent. Interest Rates – Will they rise, remain stable or fall? If you have been listening to the so-called experts most were predicting interest rates to fall. Then most predicted they would rise. All the while they have remained steady and are now most likely to stay that way for the rest of this calendar year, and well into the new year. Whilst the official cash rate has not changed since September 2016 the banks have independently responded by raising rates, particularly on interest only loans, which mostly are used by investors. Investors are now paying much more than a year ago. In addition, the new bank levy imposed by the Federal Government on the big four in the recent budget is also likely to be passed on and, in fact, smaller and regional banks have already shifted rates higher in anticipation. Given Bank interest rates already are on the up, and wages growth is the weakest on record, it would be a brave RBA governor who would contemplate a rise in the near future. Phil Lowe will let the banks do the work for him. Regardless of when your existing loans are due for review, NOW is the time to consider your financing options. With so many changes to lending criteria in the past few months, nobody quite knows where this will end. One thing is certain, however, that investors need advice right now to ensure they are correctly structured. Many investors who are coming off their 5-year interest only agreement with their Bank, are going to get a rude shock when their Bank denies a further interest only extension of that loan. A possible solution is to apply for an extension today, whilst they are still eligible. http://stratgroup.com.au/wp-content/uploads/2017/03/SIG-WEB-LOGO.png 0 0 admin http://stratgroup.com.au/wp-content/uploads/2017/03/SIG-WEB-LOGO.png admin2017-07-19 01:36:182017-09-12 22:47:11Interest Rates – Will they rise, remain stable or fall? In this episode, Kiril gives us 5 changes to the contract you MUST negotiate BEFORE you sign a contract. In this episode, Kiril gives us key insights on why you shouldn’t just settle on your current loan and the importance of seeking specialist advice. 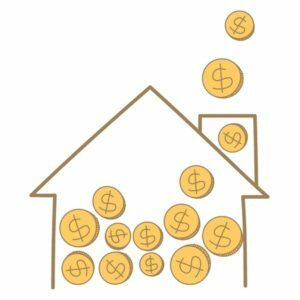 Although the official cash rate remains on hold, all four major banks in June raised interest rates by between 0.3 and 0.35 percentage points on interest-only home loans, mainly used by investors, while also cutting some other owner-occupied rates by a much smaller amount. One reason is the prospect of tougher capital rules. Any week now, the Australian Prudential Regulation Authority (APRA) will reveal how much extra capital banks must hold to be more shock-proof, a change that on its own would dampen profits. Recent behaviour sees the banks having a track record in passing on the cost of tougher capital requirements to their customers. A recent Reserve Bank paper pointed out that since 2008, official interest rates set by the RBA had dropped 5.75 percentage points, but the rates banks charge on home loans were only down by around 3.9 percentage points over the same period. It is highly likely that the next round of capital rules may also see another out of cycle rate increase for investor loans. A second and related reason why investors and people with interest-only loans may keep copping it is the regulators’ concern about the housing market. 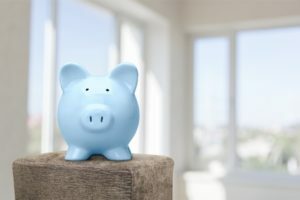 In March, APRA imposed a 30 per cent cap on the proportion of new mortgage lending that can be interest-only, alongside a previous 10 per cent cap on growth in the stock of housing investor loans. Banks have adjusted to these caps through a combination of tougher lending rules, and price signals. However, the objective of these two caps is also to limit competition in housing investor lending. The recent rate hikes by banks should quell some of the RBA’s fears about households’ excessive interest-only borrowing, without any need to move the cash rate. A third reason why property investors may face higher interest rates is the political target on the banks’ backs. When they are so on the nose with pollies, bankers are naturally hesitant about slugging the majority of mortgage customers, who are owner occupiers, with higher rates. But when housing affordability is so stretched in NSW and Victoria, it’s a brave politician who comes out and bashes the banks for jacking up rates on landlords. Whether it is tougher capital rules, curbs on the housing market, or the bank tax, lenders have plenty of excuses to raise interest rates at their disposal. Property investors have become the easiest group for the lenders to target. Coffee with Kiril – Episode 3: Are you dying for your kids to get into the property market? In this episode, Kiril explains how first-time property owners are getting assistance from their parents to move into their own home. http://stratgroup.com.au/wp-content/uploads/2017/03/SIG-WEB-LOGO.png 0 0 admin http://stratgroup.com.au/wp-content/uploads/2017/03/SIG-WEB-LOGO.png admin2017-07-03 09:10:072017-09-11 02:25:07Coffee with Kiril - Episode 3: Are you dying for your kids to get into the property market?